And if you wanna put in an enquiry for donuts for your wedding, you can do so here. We’re taking orders for all your Valentine’s Ds up until 12pm on Tuesday 13th February. 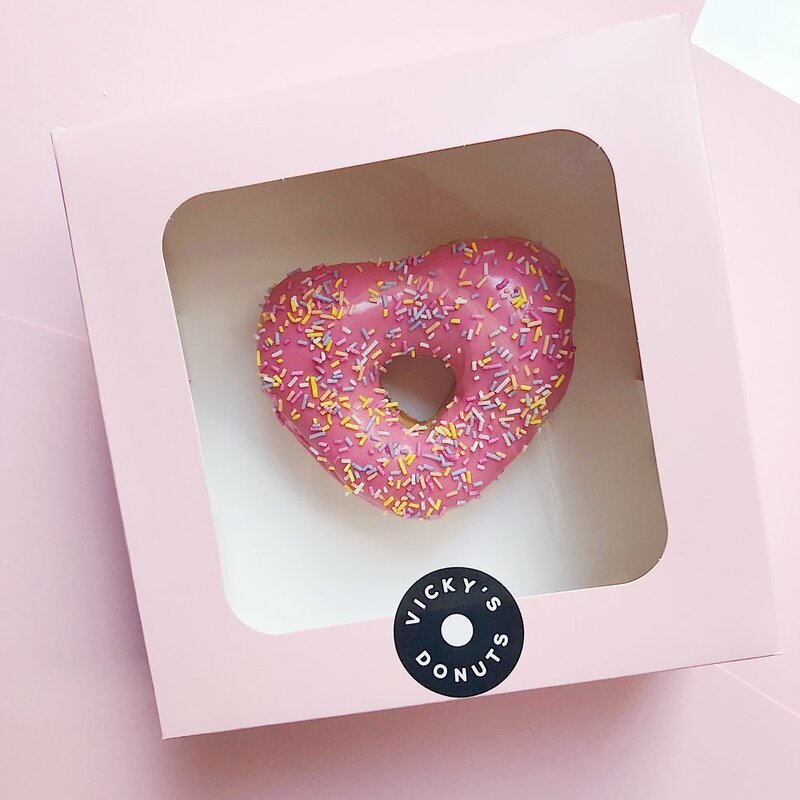 💗 So whether you wanna treat someone else or order a box for yourself (ain’t no judgement here at Vicky Ds), get those orders in by then, by following this link. Or if you’re looking for something custom, head over here to fill in the form and we’ll get back to you to arrange it. We’ve had the most fun ever this week making Lego brick donuts for the release of Lego Movie 2! 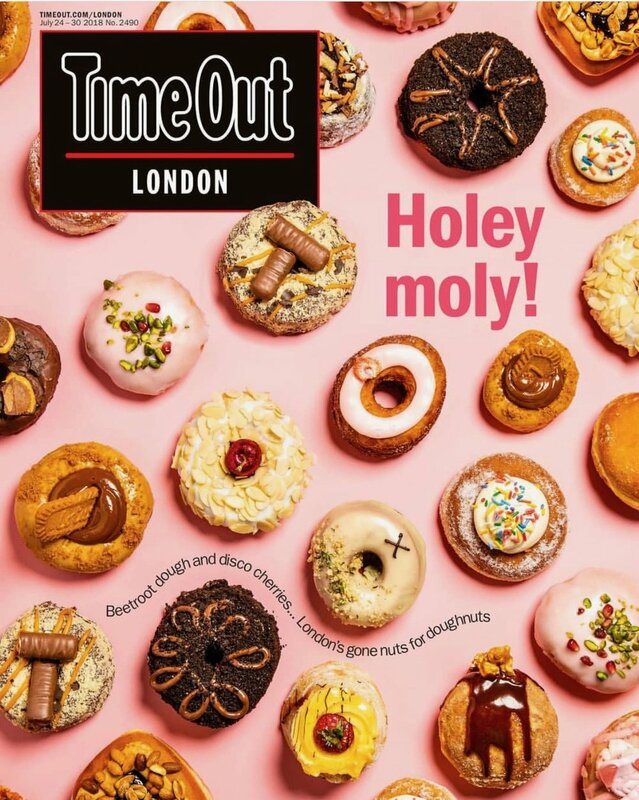 The donuts will be available at Lego’s pop-up cafe at Observation Point on the Southbank and will also be delivered around London to fans of everything awesome. Keep up to date with any news about the movie here. We’re taking a little break from Friday 23 November-Wednesday 28 November and will be closed up in between those dates. If you’ve been thinking about getting in touch to arrange a custom order or to book us in for your Christmas party, either get those requests in before Friday or we’ll catch up with you when we’re back! North Londoners! We’re starting KERB’s brand new market at Hornsey Town Hall today! Come on down for your donut fix from 11am - 4pm. We're starting a brand new market with KERB on Friday 6 July at St Katherine's Docks, woop woop! It's KERB's sixth and biggest lunch market to date down at St Katherine's Docks marina from 12-2pm every Friday starting from next week. We had a blast at the Instagram TV launch party last night! 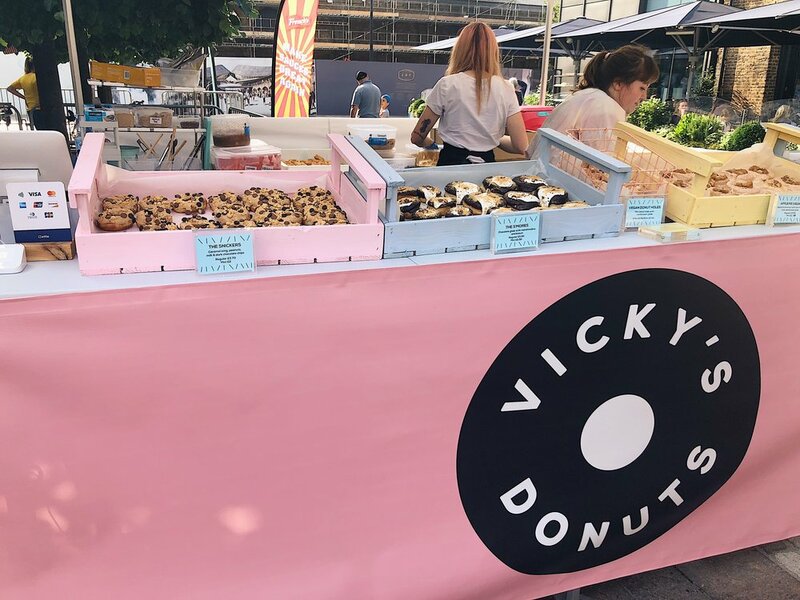 We were there with lots of custom donuts to help celebrate its release. 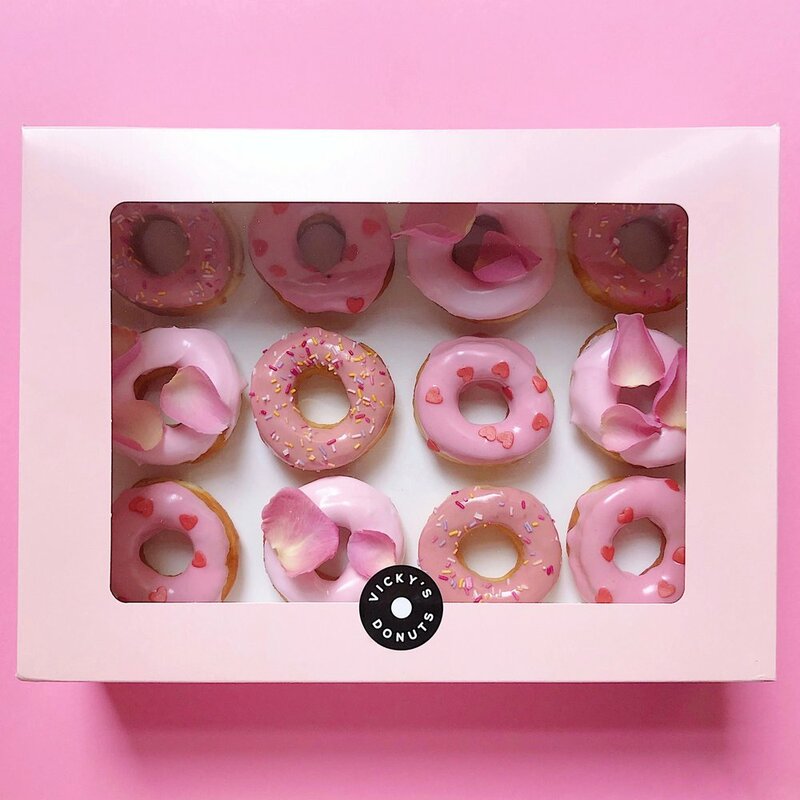 Go visit Print Club London's Help Refugees event at Somerset House this evening and pick up one of our donuts while you're there! All proceeds will go to the charity to help raise funds for refugees and asylum seekers around the world.